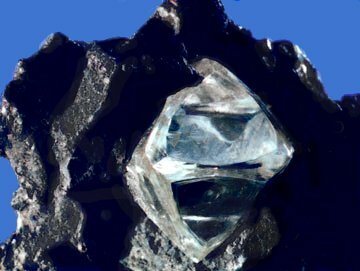 Synthetic diamonds can be grown from high-purity carbon under high pressures and temperatures or from hydrocarbon gas by chemical vapor deposition (CVD). Imitation diamonds can also be made out of materials such as cubic zirconia and silicon carbide. Natural, synthetic and imitation diamonds are most commonly distinguished using optical techniques or thermal conductivity measurements.